Before I start to explain all about the DPF and what it is and does, the immediate answer to the title question is; you don’t. You do not bypass the DPF Filter for daily use, you might consider bypassing for track and off-road performance applications, but in the long run, you do not want to bypass it, and I will explain why in detail in this article. I will also show you how to bypass it if you decide you want to in any event, which is like showing you how to smoke 2 boxes of unfiltered cigarettes a day while posting an anti-cancer picture on the box. DPF is Diesel Particulate Filter. The DPF is an emission regulation requirement device; it collects soot and other PM 2.5 particles. PM2.5 are the tiny particles that accumulate in the air and reduce visibility; they are what causes the air to appear hazy when levels are elevated. As such, the DPF is a key component in the diesel engine industry as it reduces pollutants that accumulate and lead to respiratory and heart diseases, as well as lung cancer. DPF’s were made mandatory by law in 2007. Since then, as technology advances, so do the materials used to construct various parts, including filters. Today, DPF filters are extremely efficient, and in order to maintain your engine’s power, all you need to do is replace the DPF filter regularly. Consider that one of the downsides of a bad filter is a damaged engine. Other issues related to removal or bypass of DPF include accelerated global warming, where diesel emissions lead to extreme greenhouse effects. City hazing, where cities are covered by a pall of PM 2.5 particles, that both reduce vision, impede breathing, and leads to illness. On-road usage is mandatory; a vehicle caught on the road without a filter will get the driver fined heavily. However, off-road and track performance (racing) is allowed without a DPF. So long as you only restrict the use of a DPG bypassed engine for off-road and track applications, you are not breaking the law. However, you are still contributing to all the health-related issues and global warming. So, if you can perform with a DPF and still win, do so, and boast about it. Before I go to the bypass and removal section, let’s take a look at how to maintain a DPF properly. 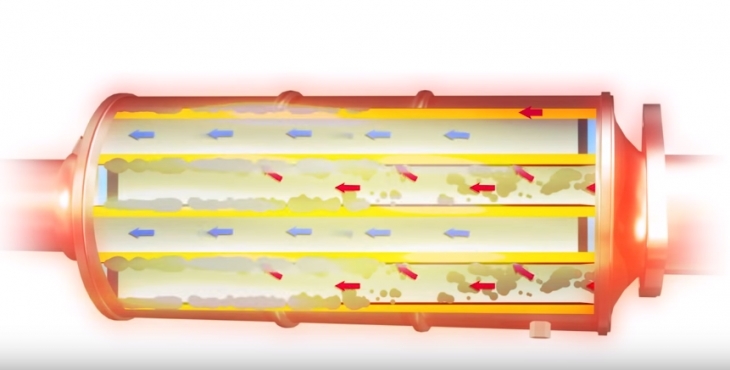 The DPF works within a regeneration cycle that includes the burning of soot and particles into an ash-like residue. The regeneration cycle has three modes, active, passive and forced. You will observe the Regen cycle through the diagnostic boards as the “Regen” light. When a “Regen” light is lit, it means that either the sensor is damaged, or your system is not working properly. A damaged regeneration system will domino its effect and damage the DPF. If you see the “Regen” light lit, then go to a mechanic without delay, think of it as a cracked engine head, driving with no brake pads, and a shot gear with a flat tire all at the same time. DPF maintenance on a regular basis is essential and even mandatory for your own safety and the vehicles life. Filters get clogged, so you need to clean the filters using the regeneration process. This title is an oxymoron since the regeneration cycle actually burns more fuel. In fact, extra fuel is used to heat the DPF unit to help it burn the soot. There are certain additives that improve the cycle and reduce the number of times you need to regen, but there is some argument as to how much they improve the cycle and reduce fuel consumption. The engine generates an exhaust flow that follows the tube from the header to the particulate filter. Inside the filter, then soot and PM 2.5 particles go through the DOC and reach the DPF. 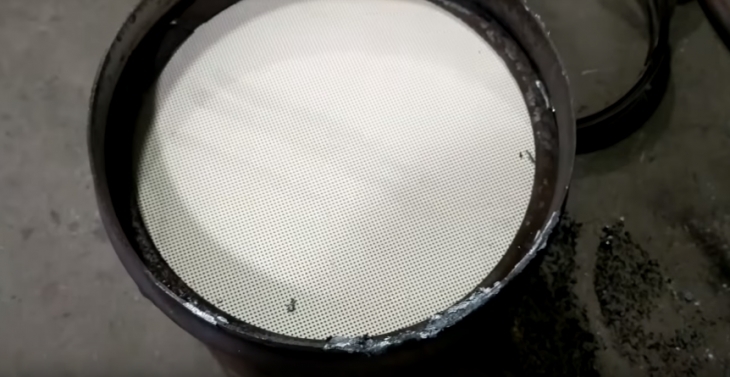 The DPF captures these particles that are safely oxidized to clean out the DPF automatically through regeneration. When the system operates normally, there is sufficient temperature inside the exhaust that allows the DPF to regenerate continuously. This is passive regeneration, and it helps to clean out the exhaust system. When the temperature is not higher enough, you need to perform an active regeneration. Active regeneration is when you add some fuel to the system. The added diesel fuel generates temperatures to regenerate the DPF correctly. When an active regeneration is performed, the engine changes its mode of operation. After the treatment has concluded the Engine Control Module (ECM) detects it has been done and modifies the engine operation accordingly. Forced Regeneration is when the engine is off and is only done in emergency situations. Cummins engines are designed for optimized regeneration, as such, the owner’s manual recommends that you get the DPF services every 200,000 miles. OK, so you want to delete the Cummins DPF filter, or bypass it, no bigger for a professional, however, if you decided to take it on by yourself, here is how you will go about it. The Tuner part is the issue, anyone with an inkling of basic car mechanics can bypass the DPF, but most non-professionals will not know how to tune the engine unless you have either a special DPF deletion tune or have someone tune it for you. So, now you have the kit, let’s go and bypass that DPF. 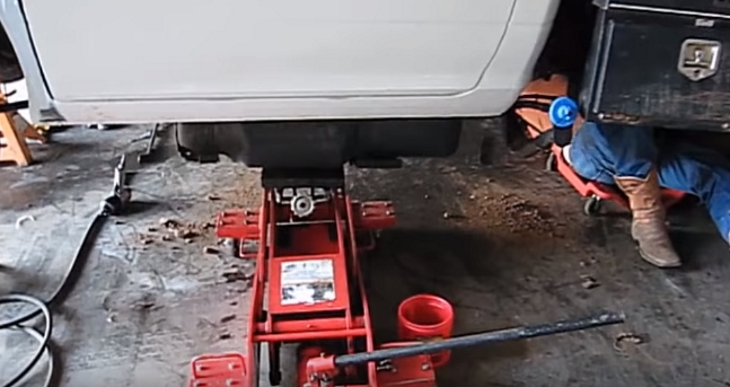 Start off by jacking up the vehicle to working height, secure the vehicle with jack supports. Let’s start with a kit that is designed specifically for your application before you install the new exhaust you have to remove the old one. You do this from the front to the back, unhooking the old exhaust and removing it. Begin at the rear of the truck working your way to the front. Start by removing the stock tail-pipe. Remove all sensors from DPF & Catalytic Converter. Remove diesel particulate filter (DPF). Place a jack-stand under DPF for support. Remove the stock bolts from the DPF. Carefully pop out all hangers from the OE rubber Isolation mounts and remove the DPF. Remove the Catalytic Converter, following the same procedures begin with Removing the bolts from the flange connected to the front down-pipe. Now remove stock down-pipe. The V-Band clamp holding the Turbo and down-pipe is in a Very tight spot to get to! You may need to try loosening it from the outside of the front Right tire wheel well. After removing the DPF, you can connect a new exhaust system. Once you have connected the new exhaust system, attach the tuner/programmer to ECM via the ODBII port and run the DPF delete tune. After completion, you are ready to drive without the DPF. Yes, it’s not too hard to remove and replace the DPF, but only do it if you intend to use the vehicle for off-road or track racing, and if it is legal to do so in your state. Consider these instances, before you remove your DPF. The dealer may refuse service when you take your truck in for service and there is no DPF on the truck. Your truck likely will not pass if you are pulled over for state inspection for either safety or emissions. Removing the DPF causes EGR system problems, and removing the EGR system will lead to engine damage from excessive Exhaust Gas Temperature. Removing the DPF reduces trade-in-value of your truck considerably. Dealers now check for the DPF when assessing trade-ins. A new DPF costs around $3000-$4000 to install, and that will be reduced from your trade-in price.